Well-known Santoor player Padmabhushan Shri Shivkumar Sharma and Yoga Guru Smt. Hansa Jaydev Yogendra today paid a courtesy visit to the Chief Minister Shri Shivraj Singh Chouhan at the CM House. 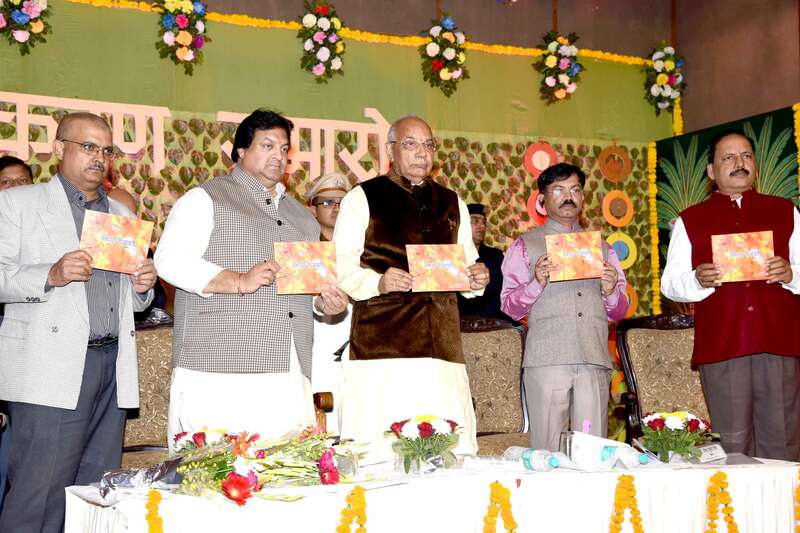 Union Minister for Social Justice and Empowerment Shri Thawarchand Gehlot was also present on the occasion. CM Shri Chouhan met and felicitated Padmabhushan Shri Sharma with shawl shriphal. During the meeting, Shri Chouhan released the book Yoga for all authored by Yoga Guru Smt. Hansa Jaidev Yogendra, Director of the Yoga Institute. The Chief Minister praised the efforts of Smt. Hansa in the campaign of Yoga. Shri Chouhan said that Yoga has become a public movement with the initiative of Prime Minister Shri Narendra Modi. The Ved Scholar and Prominent Spiritual Guru Swami Sukhbodhanand said that happiness does not come from the work undertaken for happiness but it comes from the work undertaken with happiness. It is must to get rid from the mechanized life and from the reactive propensity. He mentioned that problems and difficulties seen with the positive approach make them lessons. Swami Sukhbodhanand expressed his views in Anand Vyakhyan organized by the State Anand Sansthan under the Anand Department at Academy of Administration here today. Happiness is inner condition of heart Chief Minister Shri Shivraj Singh Chouhan in his address said that positive thinking produces positive energy. He mentioned that all the philosophies show path to derive happiness. Communism and capitalism had also shown path to gain happiness, but it did not prove right over the time. Shri Chouhan further stated that it happens by not understanding the difference between happiness and comfort. Happiness is the inner condition of the heart, whereas comfort comes from the outer conditions. Shri Chouhan mentioned that happiness does not come from creating only infrastructures. Leading a meaningful life is important. Economically well off people also lead sorrowful life and underprivileged people lead a happy life. Therefore, we will have to learn the art to change the mindset positive. Happiness is in each moment Swami Sukhbodhanand elaborated on the characteristics of happiness and its existence in life. He said that tendency to see happiness in future and to make it a habit brings disappointment and sadness. He mentioned that present is everything. Hence, happiness exists in present. It is in the heart. God opens a new door, when all the doors shut down. Every moment has life and is dynamic. Do not let past interfere present Swami Ji further said that devotion is needed to transform anger and jealousy into love. Therefore devotion is the chief element. Future is delusion. Only present is truth and happiness is prevalent in present. There is a need to sense it. Wonder is the chief element. He stated that do not let past interfere present, people should be cautious about it. The other form of happiness is energy, he added. Minister of Anand Department Shri Lalsingh Arya said that Shri Chouhan is the Chief Minister, who always undertakes innovations constantly. Anand department is an example in this connection. He informed that the activities of the department have been expanded widely in the state within a short period. It has gained praise all over the country. Additional Chief Secretary of Anand Department Shri Iqbal Singh Bains and members of Anand Clubs were present on the occasion. Chief Minister Shri Shivraj Singh Chouhan has said that Swami Jayendra Saraswati, the 69th Mathpramukh of Kanchi Kamkothi Peeth, who is responsible for the prosperity of spiritual heritage of India has also propagated the glory of Sanatan Hindu Dharma and culture among the people. Shankaracharya Parampujya Swami Jayendra Saraswati passed away today. This is a very sad moment for Sanatandharmi devotees and the entire India. The Chief Minister said that today the whole Hindu community is motivated by Swamijis Divya darshan and his revolutionary speeches. Swamiji not only showed the way to deep spiritual awareness but was the living symbol of spiritual prosperity besides being a protector of Indian culture. Indias spiritual and cultural aura will forever remain lit due to the efforts of divine and energetic Yugpurush like Swami Jayendra Saraswati. The society will continue to benefit from his penance till eternity. The Chief Minister paid his tributes to Swamiji on behalf of the people of the state. The Madhya Pradesh Government, which has formed the Anand department first in the country, has taken a unique initiative while expanding the activities of the Anand department. A Happiness Index International workshop is being organized at Bhopal on February 22 and 23. Experts from the United States of America, Dubai, Canada and other countries besides India are participating in the workshop, being organized with the collaboration of Indian Institute of Technology, Kharagpur. The State Anand Sansthan has signed an agreement with the Indian Institute of Kharagpur to identify happiness index, measures to make people happy and its development. The workshop will begin at 10.00 a.m. on February 22 at Jehanuma Palace Hotel. Participants of the workshop will also meet Chief Minister Shri Shivraj Singh Chouhan. A total of 4 sessions, 2 on the first day and 2 on the concluding day will be held in the workshop. The Additional Chief Secretary, Anand Department, Shri Iqbal Singh Bains, Chief Executive Officer of the State Anand Sansthan, Shri Manohar Dubey, Prof. Raj Raghunathan (USA), Dr. David Jones (Dubai), State Election Commissioner Shri R. Parshuram, Prof. M.K. Mandal, Prof. P. Patnaik, Prof. P. Mishra, Prof. J. Mukherjee, Sushri Janamoni, Shri Girja of I.I.T. Kharagpur and other participants will take part in the workshop. Similarly, Prof. Prateep Nayak, Dr. Samdu Chetri, Sushri Radhika Punshi, Prof. Poornima Singh, Prof. R.C. Tripathi, Prof. Rekha Singhal. Prof. S.S. Rekhi, Prof. Lilavati Krishnan, Prof. Janak Pandey, Prof. Kamlesh Singh, Prof. Vijay Kumar Shotri, Shri Rajul Asthana, Shri Akhilesh Argal, Prof. Ganesh Bagdia, Prof. R.S. Pillai, Prof. P. Mishra, Shri Vishwapati Trivedi and Prof. Rajshekhran Pillai will participate in other sessions. It may be mentioned that work on various ideas to determine the level of happiness index has been undertaken in Madhya Pradesh. Work to enhance the level of happiness has been carried out in Bhutan and other countries by increasing the materialistic facilities, whereas in Madhya Pradesh, activities have been conducted by considering the increase in internal and outside happiness, following a fundamental method. The workshop being organized at Bhopal is important because arrangements have been made in Madhya Pradesh by determining its own happiness index to enhance the level of common men happiness, different from the index adopted by other countries. Taking benefit of the experiences from the works carried out in other countries in this field, the Anand sansthan has implemented several different programmes in the state in the past. This include activities like taking citizens services as Anandak, Alp Viram programme, Anandam activities, Anand Utsav at over 7 thousand places, Anand Calendar, Anand camps, Anand Club, Anand Sabha and an activity to send government officers and employees government for training at Isha Foundation besides other institutes at government expense. The 2 day long workshop is a unique initiative in the direction to enhance the happiness among the people, which will become foundation to realise new concrete efforts. Narmada River is Foundation of Happiness and Prosperity of Madhya Pradesh: CM Shri Chouhan. Chief Minister Shri Shivraj Singh Chouhan said that Narmada river is a foundation of happiness and prosperity of Madhya Pradesh. Narmada water is a symbol of faith, devotion and reverence in Indian Culture. He mentioned that not a single drop of sewerage will be released in Narmada river. Sewerage water treatment plants are being installed in the cities, situated on Narmadas banks in this connection. These treatment plants will be ready within coming next one and half year. Shri Chouhan was addressing the programme, organized at Barmankalan of district Narsinghpur on the occasion of Narmada Jayanti today. CM Shri Chouhan distributed benefits letters worth Rs. 96. 28 crore to 11 thousand 263 beneficiaries in Antodaya Mela, organized in Barmankalan. He also performed bhoomi poojan and dedicated 10 development works costing Rs. 25 crore. 8 Crore Saplings to be planted in Narmada basin on July 2 Shri Chouhan stated that Narmada river is not formed by any glacier. 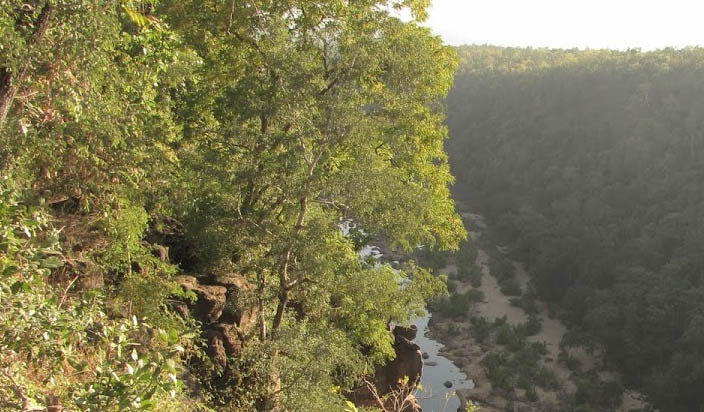 Trees located on the both the banks of Narmada river absorb rain water and release the water drop by drop. Narmada river gets water from the trees. Therefore, it is necessary to plant saplings on both the banks for conservation of Narmada river. Shri Chouhan mentioned that 8 crore saplings will be planted in Narmada rivers catchment area on July 2 this year. Total 6 crore 63 lakh saplings were planted on both the banks of Narmada river last year, he added. Chief Ministers Announcements for Development Works CM Shri Chouhan made announcement for installation of sewerage plant in Barmankalan, rejuvenation of Ren-Basera Bhavan and Rani Kothi, widening of approach road from state highway-26 to Narmada ghat in Barmankalan and also beautification of ghats. It was informed in the programme that 71 Narmada Seva Committees have been formed in the district. A scheme has been prepared to perform regular aarti on main 32 ghats of the river and cleanliness. A project worth Rs. One hundred 50 crore approximately for beautification of 21 ghats has been sent to the state government for approval. Minister for Public Works, Law and Legislative Affairs and Minister In-Charge of Narsinghpur District Shri Rampal Singh, Member of Parliament Shri Rao Uday Pratap Singh, MLA Shri Jalam Singh Patel, Shri Sanjay Sharma, Shri Govind Patel, President Jila Panchayat Shri Sandeep Patel, Chairman District Cooperative Central Bank Shri Virendra Foujdar, Vice President Jila Panchayat Smt. Sheeladevi Thakur, other Public Representatives and citizens in large number were present in the programme. Solutions to worlds problems lies in Ekatmavad. Chief Minister Shri Shivraj Singh Chouhan said that the solution to all problems in the world like terrorism and Naxalism lies in Adi Shankaracharyas Ekatmavad. The path to world peace is not in war but in Adi Shankars Adwait Darshan. He said that the Adi Shankar Cultural Unity Trust will be established in Omkareshwar to propagate Adwait Darshan. Through this the work of moral, social, cultural and spiritual renaissance will be undertaken. CM Shri Chouhan was addressing the Ekatm festival organized on the completion of Ekatm Yatra at Adi Shankaracharyas dikshasthal Omkareshwar. On this occasion, a video message o Bharatiya Janata Party National President Shri Amit Shah was also shown. Yatra began from four places The Ekatm Yatra started on December 19 from four religious places connected with Adi Shankaracharya to give the message of social harmony and humanism. 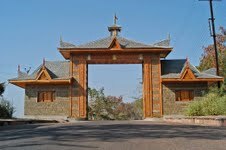 These places include Amarkantak, Ujjain, Rewas Pachmatha and Omkareshwar. Jan Samvad were organized at several places during the yatra. The Yatra received huge support. Bhoomi-pujan was organized for setting up a 108 feet high huge metal statue of Adi Shankaracharya on Omkar Parvat, Acharya Shankar Museum and International Vedant Institute at Omkareshwar on the completion of Yatra. A resolve for humanism was also taken on the occasion. Same consciousness in everyone-CM Shri Chouhan CM Shri Chouhan said that Shankaracharya tied the entire India in one thread of cultural unity and spread the message of humanism to the entire world. There is spiritual unity in not only humans but all living beings. He said that a Vedant Sansthan will come up in Omkareshwar which will provide information about Adwait Vedant Darshan to the world. Brahma Puri, Vishnu Puri and Shiv Puri will be connected with flyover footover bridge in Omkareshwar. 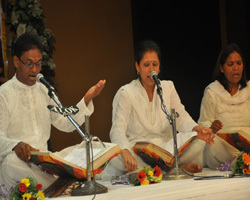 The message of Maya and Brahma Shankar will be shown with modern technique at the Adi Shankar Sansthan. Along with this Shankars Jeevan Darshan and Jeevan Charit will be displayed through audio-video. The Chief Minister announced that the Adishankaracharya Cultural Unity Trust being set up in Omkareshwar will undertake the work of spiritual, social, cultural and moral renaissance. He said that Omkareshwar will become the centre of cultural and spiritual renaissance. Adi Shankaracharyas cave will be restored; Adi Shankar memorial centre will also be established. He said that 30 thousand metal kalash from 23 thousand gram panchayats have come in the Ekatm Yatra which will become base for the statue of Adi Shankaracharya. Rashtriya Sarkaryavah Shri Bhaiyyaji Joshi Rashtriya Sarkaryavah of Rashtriya Swayamseval Sangh Shri Bhaiyyaji Joshi said that coming from Kerala, Adi Shankar spread the message to all of us that we all are one. Today inspired by him we are further spreading this message to the world. Indias power lies in protection and not destruction. He said that CM Shri Chouhan has done a commendable and remarkable job by organising the Ekatm Yatra. Shri Amit Shahs video message Bharatiya Janata Party National President and Member of Rajya Sabha Shri Amit Shahs video message was shown in the programme in which he said that CM Shri Chouhan has done a highly commendable job through Narmada Yatra and Ekatm Yatra for cultural unity. He thanked the CM from the core of heart and said that it is Shri Chouhans effort to give the final shape to Adishankars contribution in Omkareshwar. Adi Shankaracharya attained his Guru here and this spot is a centre of immense faith and belief of people. Pujya Swami Shri Avdheshanandgiri Ji Mahamandleshwar Pujya Swami Shri Avdheshanandgiri Ji said that this yatra is important as it spreads the message of Adi Shankaracharya. Congratulating the Chief Minister he said that another Kumbh was organized on the banks of Narmada. Extending his best wishes he said that Omkareshwar should become a world famous centre like Patliputra and Takshashila. Swami Satyamitranandji Swami Satyamitranand Ji of Bharatmata Mandir said that there is one element in the whole world. The eyes are different but it is the same person who is watching. This is the message of Adwaitvad. By forming the Adi Shankaracharya Cultural Unity Trust, the Chief Minister has bound the entire country which is special and divine in itself. He deserves praise for this effort. Shri Satyamitranand Ji announced to grant Rs 5 lakh for the trust. Sadguru Shri Jaggi Vasudev Founder of Isha Foundation Shri Jaggi Vasudev said that the work of making Indias heart Madhya Pradesh a spiritual centre is a divine job. The Vedant Kendra to be established in Omkareshwar will be a storehouse of knowledge from where the whole world will attain knowledge. He said that Adiu Shankaracharya will influence the coming generation the most because he had intelligence and rationality. He said that one attains knowledge from the feet of the Guru. Our culture is that of humility. We attained knowledge from the rivers, mountains and nature. We have to re-establish this culture. Other saints and seers also expressed their views. Religious leaders and guest attended the grand ceremony Chinmay Mission Head Pujya Swami Swaroopanand Saraswati announced to grant Rs 25 lakhs on behalf of the Mission for the establishment of the trust. Among those present on the occasion included Mahamandleshwar Pujya Swami Parmanand Giri, Pujya Swami Parmatmanand Saraswati, Pujya Swami Samvit Somgiri and Pujya Swami Akhileshwaranand, Swami Supratiptanand of Ramkrishna Mission, Swami Prabodhanand of Chinmay Mission, Avdhesh Didi of Prajapati Brahmakumari, Prahlad Tipaniya of Kabir Panth, Bhavyatej of Art of Living, famous painter Vasudev Kamath, Famous sculptor Shri Charanjit Yadav, Swami Hariprasad of Vishnu Foundation Chennai, Mata Amritanandan, Swami Prajanananmritanand, Shri Gaurishankar of Shrangeri Peeth, Swami Shevar Giri from Swaroopanand Ashram of Keral, religious leader Dr. David Faile Delhi, several religious leaers, saints, seers besides Bharatiya Janata Party state head and MP Shri Nandkumar Singh Chouhan, Energy Minister Shri Paraschandra Jain, Minister of State for Culture Shri Surendra Patwa, Chief Minister Shri Chouhan�s wife Smt. Sadhana Singh, public representatives and social workers from all over the country, officer-bearers of various voluntary organizations and a large number of general public. Programme began amidst vedic mantras and shankhnad Chief Minister Shri Chouhan greeted the religious leaders and other guests with shawl-coconuts.Earlier, Shri Chouhan and Smt. Sadhana Singh reached the stage carrying Adi Shankaracharyas charan padukas and dwadash kalash on their heads. The programme commenced with Swasti-vachan and Adi Shankaracharya slokas. 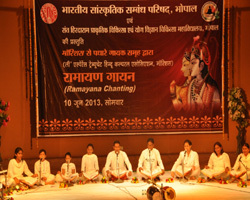 The stage at the programme venue had been constructed based on four maths and four Vedas Rig Veda, Sam Veda, Atharva Veda and Yajur Veda giving the message of Indian culture. A replica of Adi Duru Shankaracharyas statue was unveiled on stage. Artistes gave message of cultural unity Artistes from Manipur and Odisha presented Shankhghosh, West Bengal artistes presented Purulia Chau dance and Assam artistes gave a beautiful performance of Bihu dance. 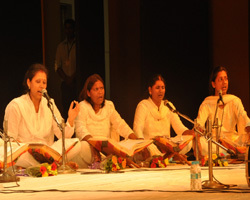 Dhruva band of Bhopal gave a mesmerizing performance of cultural consciousness and emotional integrity. Artistes from all over the country gave a message of cultural unity through music and dance performances. Sanskritik Nyas and Vedanta Sanstha to be Established at Omkareshwar: CM Shri Chouhan. Chief Minister Shri Shivraj Singh Chouhan in a Jansamvad programme held during the Ekatm Yatra in Babai of Hoshangabad district said that end of terrorism and naxalism from the World is only possible by the Advaita Vedanta Philosophy of Adi Guru Shankaracharya. He made announcement for establishment of Adi Guru Shankaracharya Sanskritik Nyas and Vedanta Sanstha at Omkareshwar on this occasion. Shri Chouhan further mentioned that there are 3 ways to seek God, first knowledge, second devotion and third deeds. Most of the people follow the path of deeds. When a teacher properly teaches children, when a doctor give proper medical treatment to patients, when an engineer properly constructs bridge and when a public representative serves people with pure heart are karmas. Dr. Shri Krishna Gopal said that Adi Guru Shankaracharya, although was born in Kerala but he came to obtain knowledge on the shore of Narmada. India is one from Kedarnath to Kerala. On this faith, he appointed pujaris of north in south�s math and pujaris of south in north. He further mentioned that the philosophy of Adi Guru Shankjaracharya is still the best. Dr. Gopal stated that Adiguru Shankaracharya received diksha on the shore of Narmada river, which blessed the soil of Madhya Pradesh. Mahamandaleshwar Akhileshwaranand mentioned that every common man has feeling of regard towards Ekatm Yatra set out from Pachmatha. Chief Minister Participates in Ekatm Yatra Chief Minister Shri Chouhan participated in Ekatm Yatra in Babai. Carrying charan paduka of Adi Guru Shankaracharya symbolically on head, he reached the Jansamvad site on foot. Shri Chouhan presented citation letters to the winners of the painting competition held in various schools. A fabulous presentation of Sanskrit Shloks and Strotas written by Adi Guru Shankaracharya was given by 9 member Dhruva Band in the Jansamvad programme. The band also gave presentation of Madhya Pradesh Gaan in Sanskrit. 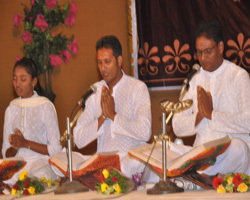 It may be mentioned that the Dhruva band is the only band which gives presentations in Sanskrit language. This amazing presentation of Dhruva band mesmerized all on the occasion. Dhruva band has joined Ekatm Yatra from Pachmatha and will also give presentation in Omkareshwar. Exhibition of public welfare schemes was also organized by the main departments of the district in the jansamvad programme of Ekatm yatra. 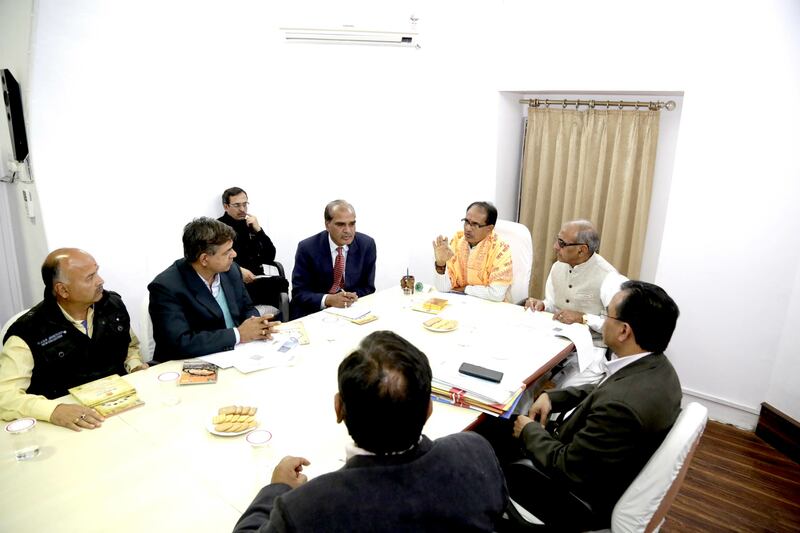 The Atal Bal Palaks of Hoshangabad district met Shri Chouhan and apprised him about the efforts being made to make the district malnutrition free and their experiences. Speaker Madhya Pradesh Assembly Dr. Sitasharan Sharma, Coordinator of Yatra Shri ShivChoubey, MP Shri Uday Pratap Singh, MLAs Shri Sartaj Singh, Shri Vijaypal Singh and Shri Thakur Das Nagvanshi, Member of State Antodaya Committee Shri Harishankar Jaiswal, President Nagarplika Hoshangabad Shri Akhiesh Khandelwal, Acharya Umesh, Acharya balram, Sadhvi Satyam Bharti, Public Representatives, Villagers and Representatives of print and electronic media were present in the Jansamvad programme. Adi Guru Shri Shankaracharya is confluence (Triveni Sangam) of knowledge, devotion and Karma : Chief Minister Shri Chouhan. 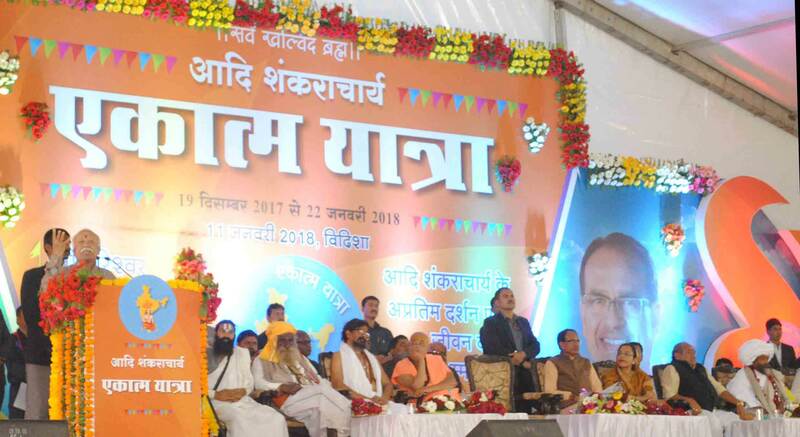 Chief Minister Shri Shivraj Singh Chouhan, in a Jansamvad programme in Shajapur, said that path of welfare of the people of the world is emerging from the land of Madhya Pradesh through Ekatma Yatra. The Yatra is creating awareness for social harmony, removing by erasing all forms of discrimination. He said that Advaita Darshan of Adi Guru Shankaracharya can remove discrimination from society. Advaita Darshan is the one which gives message for social harmony by uniting the society. Chief Minister Shri Chouhan said that Adi Guru Shri Shankaracharya is the confluence of knowledge, devotion and 'karma'. The Chief Minister administered resolution for Ekatmavad to huge gathering present there in Jansamvad and gave away certificates to winners of drawing and other contests. On this occasion Shri V Bhagaiya said that Adi Guru gave the 'Advaita Darshan' not only to India but to the world. Advaita philosophy is the only solution for world welfare, social unity and harmony. Highlighting the life of Adi Guru Shankaracharya, Saint Swami Adhyatmanand Ji Maharaj, Ahmadabad, said that he has sanctified the land of Omkareshwar in Madhya Pradesh. 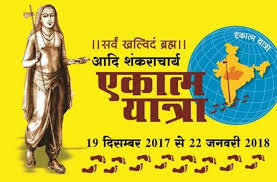 Swami Shri Samvit Somagiri Ji Maharaj, Bikaner, said that Ekatma Yatra has created an environment in the country and the state that the whole country is now looking towards Madhya Pradesh. He said that the Ekatma Yatra is a journey of love, joy, harmony and affection. 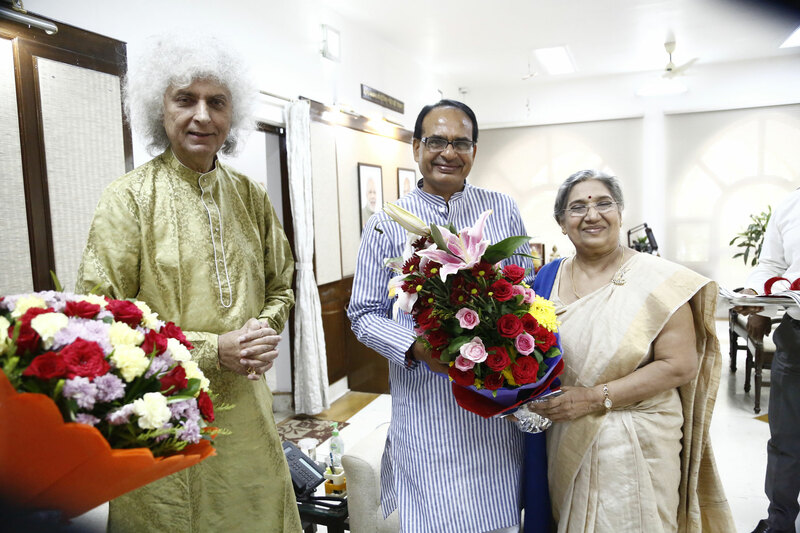 In the beginning, Chief Minister Shri Chouhan welcomed the seers by flowers and presenting shawls. On the occasion, drama, based on life of Adi Guru Shankaracharya by a group from Chennai and dance drama 'Bhaj Govindam-Bhaj Govindam'. Chief Minister Shri Chauhan participates in Ekatma Yatra Chief Minister Shri Chouhan participated in Ekatma Yatra. Chief Minister Shri Chauhan took the flag and his wife Smt Sadhna Singh carried the Kalash on her head. Dignitaries of the city welcomed the Yatra by showering flowers. In-charge Minister, Shri Deepak Joshi, Chairman of Simhastha Committee Shri Makhan Singh Chauhan, MP Manohar Untaval, Shri V. Bhagaiya, chairman of Energy Development Corporation Shri Vijendra Singh Sisodia, chairman of Text Book Corporation Shri Raisingh Sendhav, chairman of Khadi and Cottage Industry Board Chairman Shri Suresh Arya, state co-convener of the Yatra, Shri Narayana Vyas, State Vice chairman of Jan Abhiyan Parishad, Shri Pradeep Pandey, MLAs, chairman of District Central Cooperative Bank Shivnarayan Patidar, District Yatra in-charge Shri Giriraj Bhai Mandaloi, and other representatives were present. Swami Shri Samvit Somagiri Ji Maharaj, Bikaner, Swami Bhumanand ji Maharaj, Jodhpur, Swami Narmanand ji Maharaj Omkareshwar, Swami Adhyatmanand Ji Maharaj, Ahmedabad and Saint Shri Raghunath Das Ji, Ramdas Ji, Trilokadas Ji, Shri Balakdas Ji, Shri Haridas Ji, Shri Govind Das Ji, Shri Umeshnath Ji, Shri Tilaknath were there. Five-day International Spiritual Film Festival begins from today. A five-day International Spiritual Film Festival is being organised simultaneously in Bharat Bhavan, Tribal Museum and State Museum in the form of cultural dimension of the ongoing Ekatm Yatra in state. Films from world cinema based on spirituality will be screened during the festival. Giving this information Principal Secretary Culture Shri Manoj Shrivastava told that the event is being organised by the Culture Department in coordination with ISFFI Kolkata. Fest to begin with film on Adi Shankaracharya Coordinated by Bhojpuri Sahitya Academy, the fest will commence with the screening of film on Adi Shankaracharya by well-known filmmaker Shri GV Iyer at Bharat Bhavan on January 19 at 11 am. In the same venue, a discussion will be held on �Chetna Jagata Cinema� besides screening of films Gaur Hari Dastan, Uppina Kakda etc. The same day films will be screened and a workshop will be organised from 2 pm at State Museum. 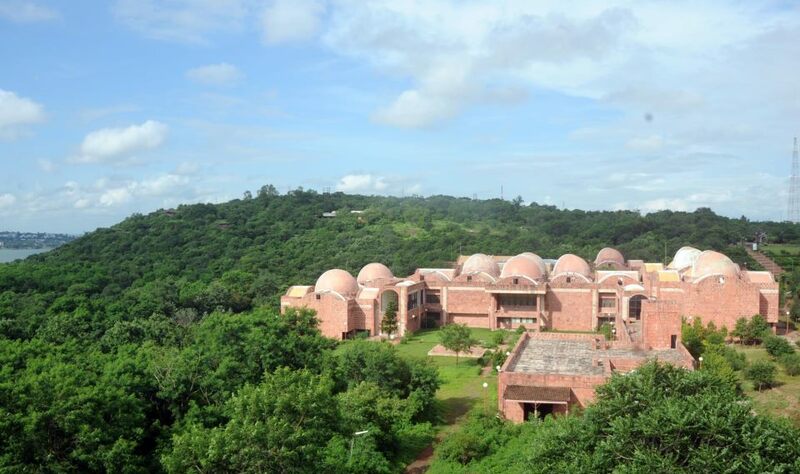 The films to be screened for review include Samvad, Mukti Bhavan, Buddha and The Thinking Body. On the second day, films including Coffee Maker, Dr. Prakash Baba Amte, Redha and Adaminte Maakan Abu will be screened besides discussion on importance of spiritualism in cinema, music and arts will be held at Bharat Bhavan. Films including Yog Karyashala, In search of Shankara, Outcast - The house that Carol built and Path to Happiness will be screened at Bharat Bhavan from 10 am. Discussion will follow screening of films including Yatrik, Ras-Yatra, Awake : The life of Yogananda etc. at Bharat Bhavan on January 21 from 11 am. On the same day a film Bekku-The cat will be screened besides a workshop at Tribal Museum from 10 am. 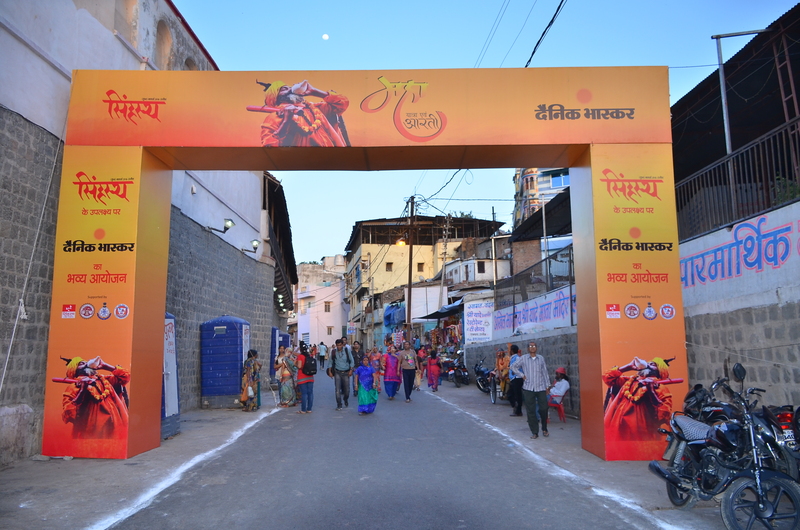 On the fourth day, the festival will begin with screening of films like Kathopnishad, Soubala, Khob etc. apart from workshop, address and dialogue session from 10 am at Bharat Bhavan. The same day a photography workshop will be organised apart from screening of film Banaras- The Unexplored. On the last day on January 23, films including Algeria-A Humanitarian Expedition, Swami Vivekanand, Samadhi Maya The Illusion and Dhun mein Dhyan will be screened from 10 am at Bharat Bhavan. The festival will conclude the same day at 6 pm at Bharat Bhavan. The Principal Secretary told that well known national and international film artistes, cine analysts, mediamen and critics will take part in the film festival. Among those who will present their views during the dialougue and discussion sessions include Shri Anant Narayan Mahadevan, Shri Ajit Rai, Ratnottama Sengupta, Shri D.R. 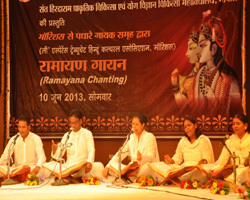 Kartikeya, Shri Rajeev Mehrotra, Soma Ghosh, Akhilesh, Mansi Mahajan, Binny Sarin, U. Radhakrishnan, T.S. Nagbharana and Chandrashekhar Tiwari. Filmmaker Sushri Sumana Mukherji will curate the festival. Amazing Public Support to Ekatm Yatra: CM Shri Chouhan. Ekatm Yatra will reach Omkareshwar on January 22. Bhoomi Poojan for Grand Statue of Adi Guru Shankaracharya, Shankar Sangrahalaya and Vedanta Sansthan will be performed at the concluding programme of the yatra. 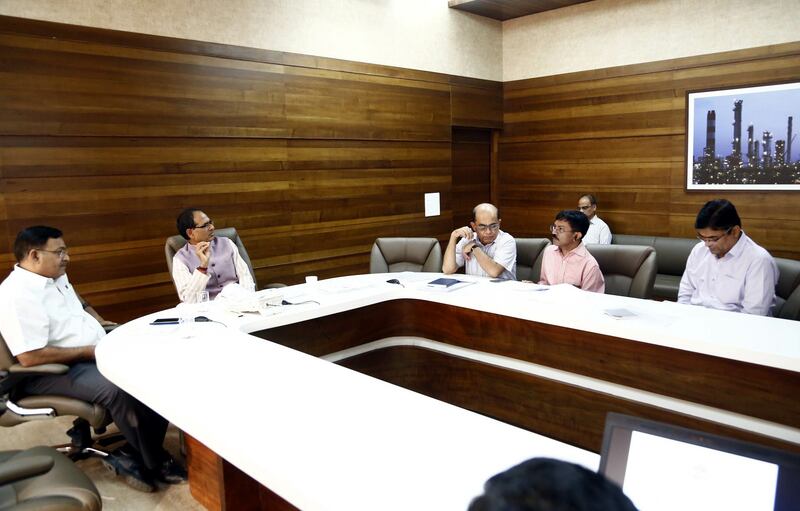 Chief Minister Shri Shivraj Singh Chouhan took review meeting in connection to the Ekatm Yatra here today. 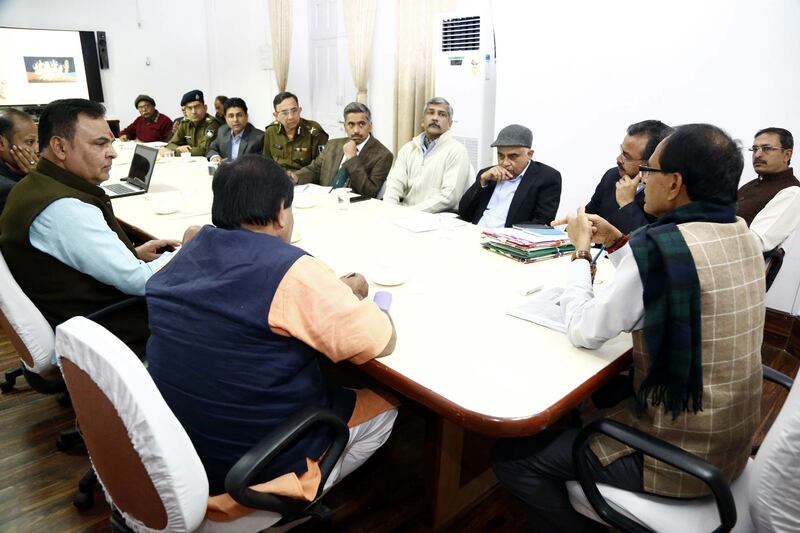 CM Shri Chouhan in the meeting said that the Ekatm Yatra is getting amazing public support; person of every walk of life is participating in this. Advaita Darshan has solution to all the current problems of the World. A message of Advaita Darshan will be given to the entire World through grand and magnificent programme to be held on the occasion of concluding day of Yatra. Sanskritik Ekta Nyas will be established for publicity of this philosophy. Religious, Spiritual Dharmagurus their followers and representatives of intellectual community will take part in the concluding programme. The Grand statue of Adi Guru Shankarcharya will be erected at Omkar Parvat. Over 17 lakh Persons Participate in Yatra It was informed in the meeting that the main programme will be organized at village Thapna on Badwah-Omkareshwar road. Over 800 subject-experts and dharmacharyas are being invited in the programme. The yatra started from last December 19 has traversed through 2 thousand 231 villages and cities till now and has covered a distance of 6 thousand 624 k.m. Over 17 lakh people participated in the yatra and 20 thousand 519 metal pots have been collected till now. 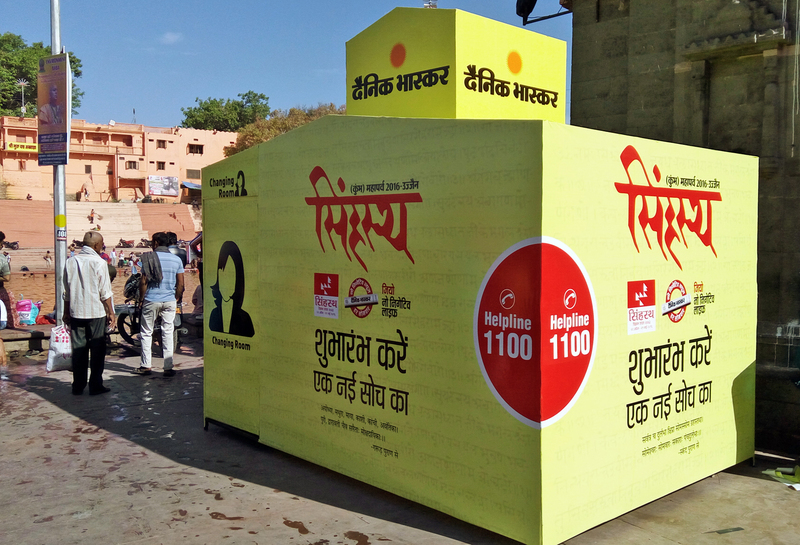 Four Yatras have been set out from Omkareshwar, Ujjain, Pachmatha and Amarkantak. Beside this, one yatra has been started from Kaldi of Kerala, which is covering the entire country. All these 5 yatras will reach Omkareshwar. Design of the progarmme site will be made by preparing pictures on the main incidents of Shankaracharya�s life. Vice President of Jan Abhiyan Parishad Shri Pradeep Pandey, Principal Secretaries to CM Shri Ashok Varnval, Shri S.K. Mishra, Principal Secretary Culture Shri Manoj Shrivastava, Principal Secretaries to CM Shri Vivek Agrawal, Shri Hariranjan Rao, Commissioner Public Relations Shri P. Narhari, Commissioner and Inspector General of Police �Indore, Collector and Superintendent of Police �Khandwa beside Officers of the concerned departments were present in the meeting. Indian Culture is Ever Lasting Owing to Efforts of Adi Guru Shankaracharya. Not only one, several difference of opinions are seen in the country. The Advaita darshan told by the Adi Guru Shankaracharya has solution to every problem of the World ingrained in it. Chief Minister Shri Shivraj Singh Chouhan said this while addressing the Jan Samvad programme during the Ekatm Yatra at Vidisha today. He mentioned that the Ekatm Darshan of Shankaracharya can give right direction to the World to eliminate tendencies like terrorism and for establishing peace. CM Shri Chouhan stated that the efforts made by the Adi Guru Shankaracharya for social reforms, 2 thousand years ago are unthinkable. His work to unite country from east to west and north to south is incomparable. Even today, the Badrinath Temple located in Uttarakhand has Namboodri Brahamin Poojari of Southern India. This is a unique effort of Shakracharya for linking the culture and for the unity of the country. He gave philosophy of �Live and let Live� to the country. Moreover, Shri Chouhan said that to consider the entire world like one family and give equal status to all the living beings through � Vasudhiva Kutumbakam� was the specialty of Shankaracharya. He urged for the welfare of the world and said that every has same conscience. There is no discrimination between small and big. The Indian Culture is ever lasting due to the efforts of the Shankaracharya. We should conserve this culture by protecting it. Shankaracharya was an Avataar of Lord Shankar, who left the world for heavenly abode at the age of just 32 years. CM Shri Chouhan took resolution on this occasion that by celebrating all the festivals with all the sections of the society, he will realise the basic objective of the Ekatm Yatra. Moreover, he will work to improve the society and himself by imbibing the basic Ekatm Bhav of Jeev Jagat and Jagdish. Sarsnagh Sanchalak Shri Mohan Bhagwat said that all the faith and sect of our country give message of unity and brotherhood. We should assimilate teachings in our behavior and attitude given through preaching. In this way, we can imbibe Vedanta Darshan of Shankaracharya. We must work for the welfare of every section by leaving aside discrimination. He further mentioned that we together should spread notion of Advaita Vedanta. It gives a message of amity to the entire world. Swami Akhileshwaranand stated that a remarkable from of social harmony has been witnessed during the Yatra. While praising the efforts of the state government to make the flow of Narmada river incessant, he mentioned that proper efforts are must to make the rivers everlasting. 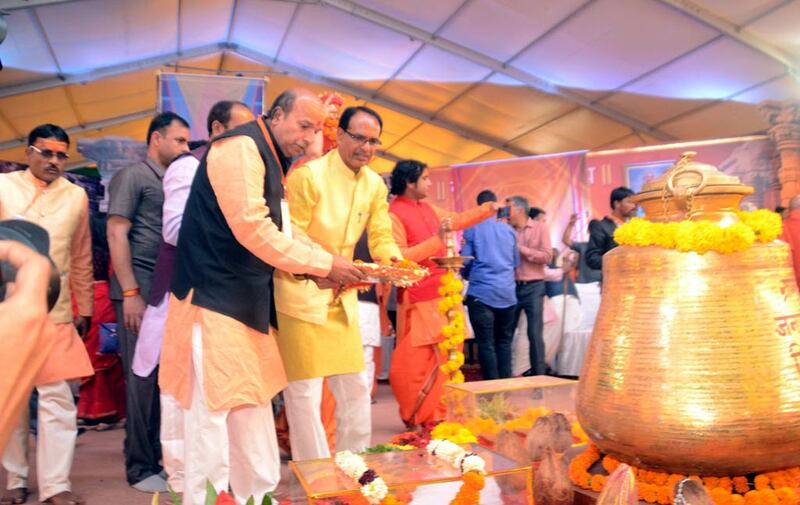 Before this, Sarsangh Sanchalak Shri Mohan Bhagwat, CM Shri Shivraj Singh Chouhan, Minister of State for Horticulture Shri Suryaprakash Meena and Sadhu-Sants performed poojan of Shankaracharya�s charan paduka. Metal kalashs collected from all the gram panchayats of Vidisha Janpad Panchayat and all the wards of the municipality for the Ekatm Yatra were brought at the Jan Samvad site and pooja of kalashs was performed. Delightful presentations were given by Dhurva band in Sanskrit on the occasion. MLAs Shri Kalyan Singh Thakur, Shri Veer Singh Pawar, President Jila Panchayat Shri Toran Singh Dangi, District Coordinator of Ekatm Yatra Shri Shyan sunder Sharma, President Municipality Shri Mukesh Tandon, other Public Representatives, Officers of the Administration, representatives of Socail Organisations, Participants of Yatra and Citizens in large number were present in the programme held at Police Parade Ground. Chief Minister Shri Shivraj Singh Chouhan today visited Shri Ramraja temple in Orchha. 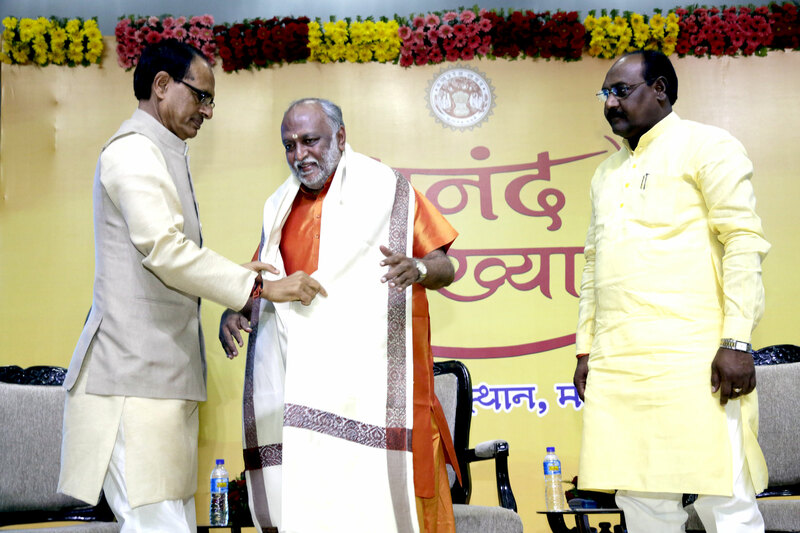 Shri Chouhan listened to Shri Murari Bapu�s Ramkatha and sought the blessings of seers. The Chief Minister said that is Bapuji himself the ultimate seer of devotion, knowledge and Karmayog. He said that the state and the counry will progress only when people in all areas work honestly and with dedication. Shri Chouhan said that welfare is possible only when we follow the path shown by saints. Minister in charge Shri Rustum Singh, MLA Shri Anil Jain, Smt. Anita Naik, Shri K.K. Shrivastava, Orchha Development Authority Chairman Shri Surendra Singh Rathore and other people�s representatives were present on the occasion. A grand festival of eco-tourism, adventure sports has been organised for tourists from December 26 to 28 at famous tourist spot Kukuru situated in Satpura of Betul district. The main attractions will be activities including Zorbing ball ride, banana ride motorboat and tent camping at Kursi reservoir near here. It may be noted coffee gardens of the British era, Valley of Flowers, Hills View, Sipna origiin, Buch Point, Bhoundia Kund sunset, Dedpani windmill and Lokladri will attract the tourists. The first days programme will include tug-of-war, martial art demonstration from 3 pm and cultural programme from 7 pm. There will be other parallel adventure activities also including full-day boating, motor boat (Kursi reservoir), paragliding, parasailing, cycling, rock climbing, valley crossing, tent camping, hot air balloon, trading, Zorbing ball, banana ride etc. The next day on December 27, quiz contest, dance, rangoli and painting contest will be organised from 10.30 am to 5 pm for school children. On the last day of the festival, school children will participate in chair race, spoon race ad antakshari etc from 10.30 am to 1 pm. From 3 pm they will tour round main spots in Kukuru followed by cultural programme in the evening. There will be parallel adventure activities on this day also. Chief Minister Shri Shivraj Singh Chouhan said that Omkareshwar will be established as the novel center of Vedanta Darshan. He further mentioned that the contribution of Adi Shankaracharya will be made memorable by installing his statue at Omkareshwar. Advaitavad of Adi Shankaracharya will be publicised in the leadership of saints in order to give right direction to the society. Owing to the contribution of Shakaracharya, Sanatan Dharma exists today. The present structure of India would have not been like this, if he were not there. He linked north, south, east and west and united the country culturally. 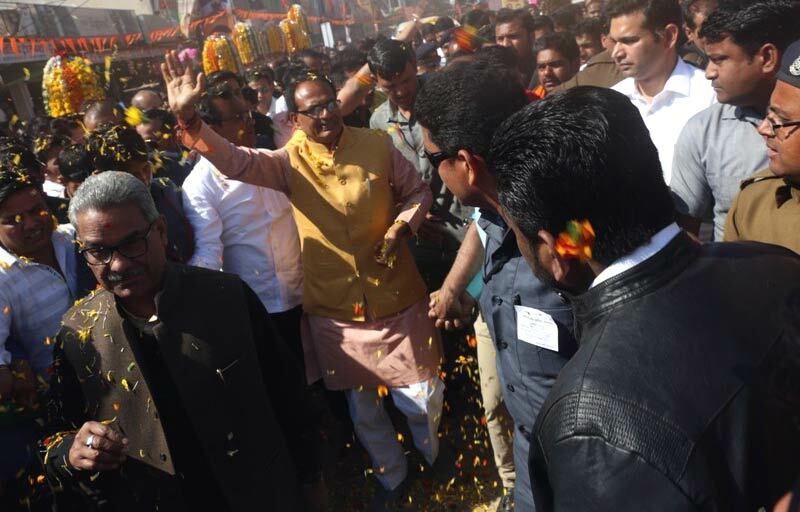 The Chief Minister Shri Chouhan these views while inaugurating the �Ekatm Yatra� at Ujjain. Chief Minister mentioned that it is amazing that Pujari of Badrinath Mandir belongs to Namburipad Brahmin of Kerala. Dwadash Jayotirling was the idea of Shankaracharyaji. Advaita Vendata has solution for all the problems, being faced by the world today. Shakaracharya was omniscient. After obtaining the knowledge from Guru at Omakareshwar, he left for Bharat�s journey and established his scholarship by holding Shastratrarthas from place to place. He was a sanyasi who has eliminated superstitions. Considering entire world as one family by �Vasudhaiva Kutumbakam� philosophy and to give equal status to all living beings were his specialties. Adishnakaracharya said that �Dharma Ki Jai Ho and Adhrama Ka Nash Ho�. There should be harmony among the living beings. While urging for the World�s welfare, he said that all should have same conscience. No one is big and small. He considered animals, birds, trees and plants as equal. CM Shri Chouhan said that Advaita Vedanta not only will be publicized during the Eakatma Yatra but teaching to give respect and hold dignity of mothers, sisters and daughters will also be given. He further mentioned that Madhya Pradesh Government has made a provision for death penalty to culprits committing heinous crime against girls. A message to save environment, and to eliminate discrimination will also be given through Ekatm Yatra. Earlier to this, CM Shri Chouhan, Swami Parmatmanand Saraswati, Swami Vishweranand, Sant Rameshwardasji, Swami Atulareshwaranand Saraswati and other Prominent Sants inaugurated the programme by lighting a lamp before the portrait of Adi Shankaracharya. After this Paduka poojan was performed and the flag of Ekatm Yatra was handed over for the yatra. Shri Chouhan was blessed on behalf of all the Sants by Swami Parmatmanand and Swami Vishweranand by garlanding Rudraksha mala. Secretary of Acharya Parishad Sant Parmatamanand Saraswati said that Indian culture is based on Veda and eternal. Several civilizations emerged in the world and annihilated, but Indian culture still exists today. We will have to protect our culture by conserving it. Hindu religion is such a religion and culture, which is exhaustive. Our culture being Dvaita presents philosophy of Advaita. Shankaracharya has enriched our traditional and social values. While following the principle of �Matra Devo Bhava:, Atithi Devo Bhava, Shankaracharya after breaking the traditions performed the last rites of his mother. Moreover, he stated that the Chief Minister Shri Chouhan has sown the seed of inner development through Ekatm Yatra. Sant Vishweranandji said that Adi Shankaracharya has accomplished remarkable works. He was born several years ago in south and took renunciation at Omkareshwar. He worked to unite our country at the time, when our country was dividing. Our country�s teerths are contributed to Adi Shankaracharya. We remember him, when we go to Badrinath and Rameshwaram. Acharya Shankar is the one, who is in the background of all the teerths. He conducted padyatra of our country three times. He has important contribution towards restoring Vedic Dharma by Shastrartha. He is a foundation pillar of our religion and culture. Responsibility to protect four maths established in the four directions is ours. He left for heavenly abode at the age of 32 years. Shankaracharya united and brought harmony in the society. Incharge of Ekatm Yatra - Ujjain Block Shri Raghvendra Gautam informed that 108 feet high statue of Shankaracharya will be established at Omkareshwar and Ekatm Yatra is being set out to collect metal for it. Chief Minister Shri Chouhan welcomed all the saints present on the occasion by garlanding them. He presented awards and certificates to the winners Dev Parmar, Adhya Diwedi and Siddhartha Verma of painting competition based on the life of Adi Shankaracharya. Chief Minister Shri Chouhan announced that the Imli Chouraha of Ujjain will be named as Shankaracharya chouraha now. Life size statue of Shankaracharya will be installed at the square also. At the end of the programme, Shri Chouhan held the Dhwaj of Ekatm Yatra and his wife Smt. Sadhna Singh held Mangal Kalash. 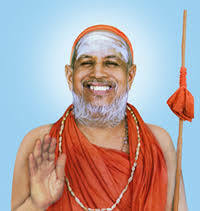 President of the programme, Swami Vishweranandji held Charan Padukaein of Shankaracharyaji and led the Ekatma Yatra of Bhagwan Adi Shankaracharya. Sant Shri Rameshwardas, Shri Atuleshwaranand Saraswati, Shri Ramashwardas Tarana, Shri Umeshnathji Maharaj, Shri Rangnathji Maharaj, Brahamakumari Usha Didi, Shri Digvijaydas, Shri Vishnudas, Shri Krishnadas Maharaj, Shri Sheshanandji Maharaj, Shri Radhebaba, Shri Raghavdas Maharaj, Nityashri, Chief Minister�s wife Smt. 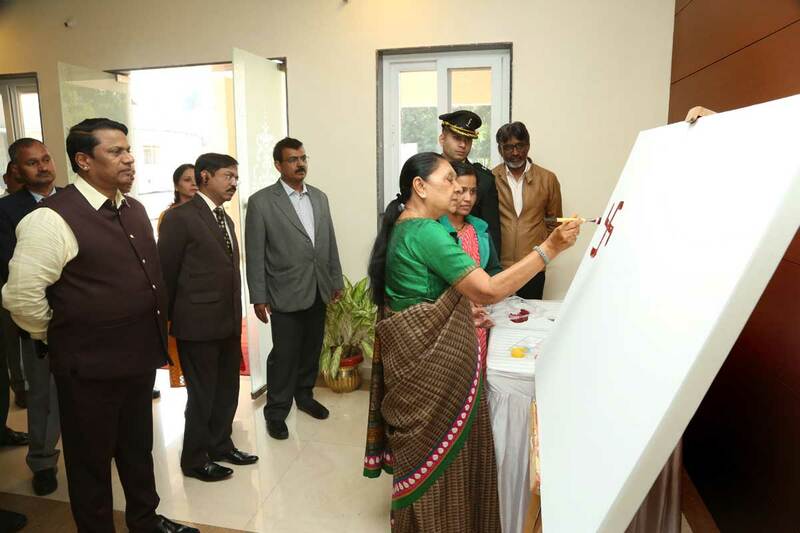 Sadhna Singh, Minister for Energy Shri Paras Jain, Mayor Smt. Meena Jonwal, MLAs Dr. Mohan Yadav, Shri Dilipsingh Shekhawat, Shri Bahadursingh Chouhan, Shri Mukesh Pandya, President Mela Authority Shri Vijay Dubey, President UDA Shri Jagdish Agrawal, Chairman Madhya Pardesh Tourism Development Corporation Shri Tapan Bhoumik, In-charge (Rural) of Ekatm Yatra Shri Kishore Mehta were present in the programme. Ekatma Yatra of Aadishankaracharya begins from Ujjain. In order to collect metal for statue of Aadishankaracharya and public awareness, Ekatma Yatra began from Chardham of Ujjain with grand show. Chief Minister Shri Shivraj Singh Chouhan and his wife Smt Sadhna Singh participated in the Yatra carrying the flag till Harsiddhi Temple. The religious people of Ujjain welcomed the yatra coming out from their homes. Stages were installed at place to place and citizens showered flower petals. Saints, public representatives, common people, men and women and children were participating in the Yatra. . Started from Chardham temple, it passed through Harsiddhi Square, Bada Genesh Temple, Mahakal Mandir, Kanthal Square, Nai Sadak, Dautalganj, Malipura, Dewasgate, Chamunda Mata Square, Agar Road and moved for Tarana. Women participating in Yatra were carrying kalash on their head. Groups of women were dancing in the yatra on the tune of band. Seers and Saints participated in the yatra leading it and reciting Jaikara. The rath was carrying mega portray of Aadishankarcharya and other symbols. Flower petals were showered at place to place by citizens on portrait of Shankaracharya. Ekatma Yatra will reach Tarana in the evening, traversing through Najarpur, Malikheri, Bichhrod after beginning from Ujjain. It will reach Mahidpur on December 20 from Tarana, via Itava, Chhadavad, Tilavad, Nander, Makron, Rupakheri, Ghonsla, Kheda Khajuria. After Mahidpur, it will reach Nagda via Delchi, Mahidpur Road, Rupeta at 5 pm.The Yatra will reach Khachrod at 7 pm, via Chauki Junarda, Umarna, Umrani, Buranabad. Next day on December 21, it will reach Badnagar at 12 noon, traversing through Madavda from Khachrod, Kamthana, Bhatpachlana, Kamer, Runiza. Via Maulana from Badnagar, Khardoskhurd, Durairi, Sarsana, Dangwada, Baleri, Narsinga, it will reach Ingoria at 3 pm.From Ingoria, it will reach Gautampura of Indore district, via Karoda, Pitavali, Chharoda, Talavali, Ralayata, Bachhoda, Girota, Osara, Padlya. This yatra will culminate at Omkareshwar after traversing through Indore, Dewas, Rajgarh, Guna, Ashok Nagar, Shivpuri, Sheopur, Morena, Bhind, Gwalior and Datia. The yatra will cover 2175 km distance while crossing 12 districts. For metal collection for statue of Aadishankaracharya and public awareness drive, chief minister Shri Shivraj Singh performed puja of Lord Mahakal at the temple before inauguration of the Ekatma Yatra. Swami Vishweshwaranand Maharaj, Swami Paramatmanand Saraswati Maharaj were present on the occasion. Chief Minister Shri Shivraj Singh Chouhan presented Dupatta as blessings of Lord Mahakal to Saints in Nandi Hal. The Chief Minister was welcomed by the Temple Management Committee. On the inauguration of Ekatma Yatra, priest Pt Pradip Guru gave soil of the temple premises and a copper pot (Kalash) to the chief minister. Shri Sanjay Purohit of the temple donated 11 Lota (pot). Balyogi Shri Umeshnath Ji Maharaj, Shri Ramnath Ji Maharaj of Brithari caves, Acharya Shri Shekhar Maharaj, energy minister Shri Paras Jain, MLAs Shri Bahadur Singh Chouhan, Dr Mohan Yadav were present on the occasion. Small India seen in Bhopal Haat: Public Relations Minister Dr Mishra. 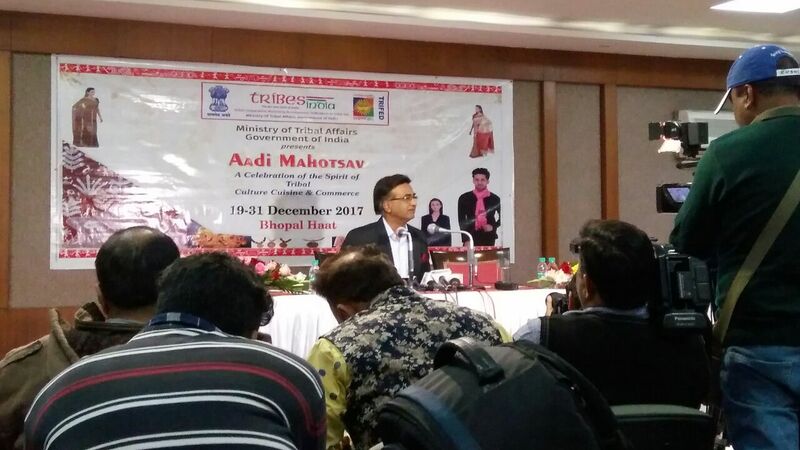 "Aadi Mahotsav"- National festival at Bhopal Haat frome 19-31 December,2017. Eminent exponent of classical music Pandit Ullas Kashalkar will be conferred the National Tansen Samman of Madhya Pradesh government for 2017. This Award set up in Hindustani Classical Music includes Rs 2 lakh income tax free amount, shawl, shriphal and samman pattika. The Samman will conferred on Pt. 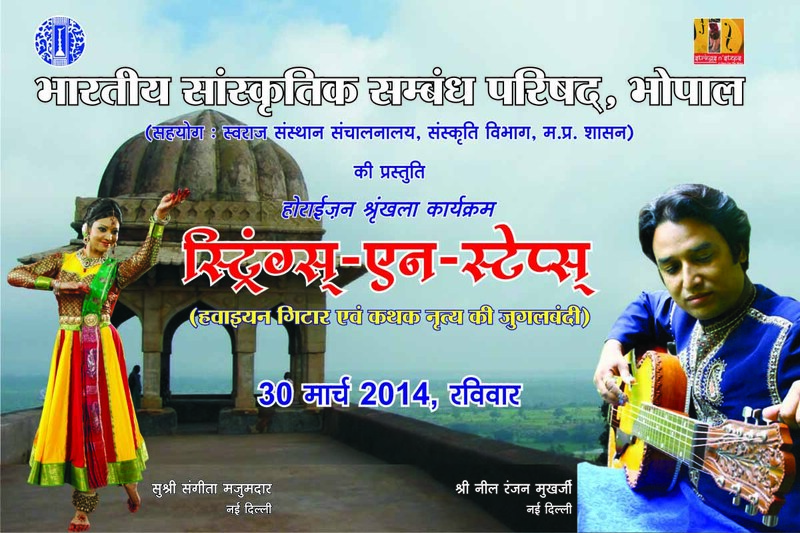 Kashalkar in December 22 at Gwalior at the prestigious Tansen Sangeet Samaroh. The decision to confer the award on Pandit Ullas Kashalkar was taken at the meeting of the selection committee held recently. Classical singer Pt. Satyajit Deshpande, Pakhawaj player Pt. Dalchand Sharma, Guitarist Dr. Kamla Shankar, Music reviewer Manjri Sinha and Ravindra Mishra took part in the meeting. Pt. Kashalkar currently resides in Pune. He was born in a gharana devoted to music. His father Pt. 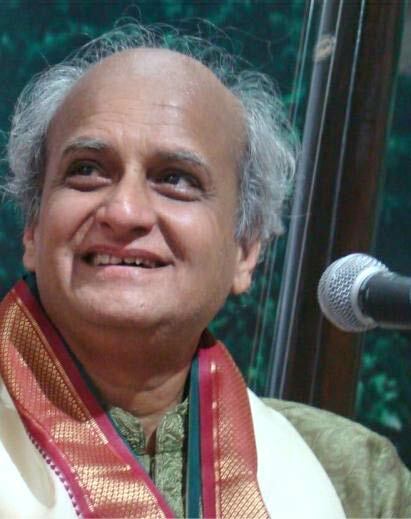 N.D. Kashalkar was well-known musician and was a lawyer by profession. It was under his guidance that Ulhas Kashalkar learnt music. He got the guidance of Pt. Rajabhau Kogze and Professor Prabhakar Rao Khardnavdis. Pt. Kashalkar achieved great heights in the field of music with his untiring efforts and creative hard work. He has performed worldwide. Pt. Kashalkar has been awarded Padmashri, Sangeet Natak Academy Samman and Basavraj Rajguru Award. We have launched the company with the objective of spreading knowledge and literature of our old scriptures and Vedas. Indian Vedic literature is full of mantras which teach us how to deal with difficult situations and lead a calm life without getting influenced by the negative vibes floating in the air. The company truly recognizes constitutional problems that Digital India is confronting in the present time. Thus, it has made an attempt to answer all the relevant questions and arising concerns occupying the mindset of Indians. It has further tried to bridge a gap between the government and the common public. a. Solution to health care problem of the USA which has similar capabilities to solve in many developing and developed economies. The visiting hours of the Indira Gandhi Rashtriya Manav Sangrahalaya is getting changed from 1st September, 2016. 2017 for all the open air and indoor exhibitions of the Manav Sangrahalaya will be open from 10.00 am to 5.30 pm. The Sangrahalaya would remain closed on Mondays and all National Holidays. 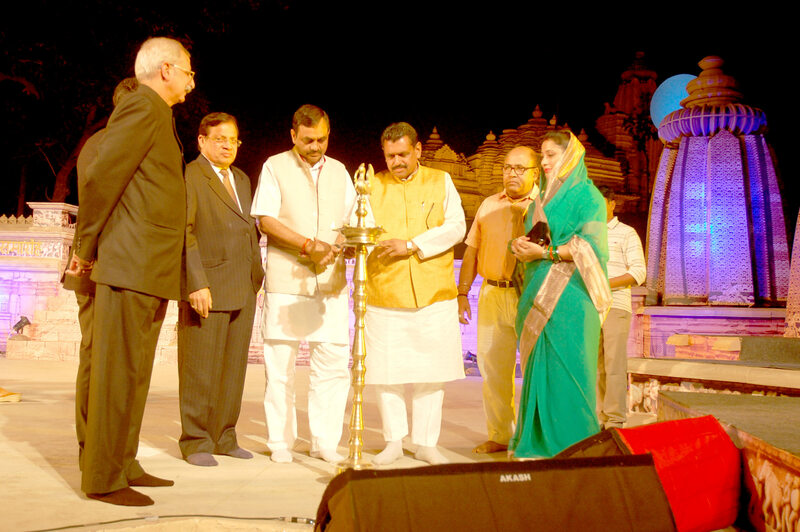 Bhopal, 20 Feb. 2017: Madhya Pradesh has been conferred "Best State for Pilgrimage Tourism Award-2015" for remarkable works of 43rd Khajuraho dance Festival was inaugurated on open sky dais near West Temples Group by the guests by lighting a lamp at Khajuraho. The festival was begun with the Kathak dance of Shri Anuj Mishra of New Delhi followed by Odissi dance presented by Sanchita Bahttacharya, an artist of Kolkata. Group Kathak dance was presented by Jaishree Acharya of Gudgaon in the end. Ten artists of Madhya Pradesh were awraded with Rupankar Kala award carrying a reward of Rs. 21 thousand to each artist. A three days Kerala festival by Kerala Tourism will be held in Bhopal. It is scheduled to start on November 13 and will conclude on November 15. The event is held at Bhopal Haat Shri Babulal Gaur, Hon�ble Home Minister will inaugurate the event at 7 pm on 13th November. The event is organized on the occasion of 60th year of Kerala�s formation and is held at 9 places in India during the month of November. State of Kerala was formed on 1st November 1956 along with Madhya Pradesh. The event is organized in association with Kerala Sangeetha Nataka Akademi (M.P. Chapter). The three- days tourism festival will highlight Kerala Ayurveda medicines and therapies, Handloom, Handicraft and also focus will be given to the Kerala cuisines. Typical food items like Kerala Porotta, tapioca items, variety of vegetarian and non-vegetarian food items will be available. Different types of bananas from Kerala will be available for sale. Mr. G Tulsidharan, President,KSNA , Mr. O D Joseph, Secretary, KSNA , Mr. C Ashokan, Coordinator , KSNA and Mr. MK Mathew was also present on the occasion. There will be cultural programs on every day starting with Padayani, a traditional folk presentation on 13th November. Street Magic, Kathaprasangam, Poetry , Folk Songs, Theyyam, different forms of classical and folk dances, songs will be performed. Apart from the ethnic art forms by the artists from Kerala, presentation by the artists of Bhopal will be staged on all three days. At concluding function of Tulsi Jayanati programme at Raj Bhavan here today, Governor Shri Ram Naresh Yadav said that Goswami Tulsidas has worked to popularize Hindi throughout the world by authoring Ram Charit Manas in easy language. The epic is spreading light of knowledge throughout the world. It inspires us to keep away from greed and motivates to imbibe good character and moral values. The teachings of discipline, Maryada and culture given by Ram Charit Manas need to be propagated throughout the world. Shri Yadav said that through discourses on Ram Charit Manas Didi Mandakini is inspiring people to live a pious life. 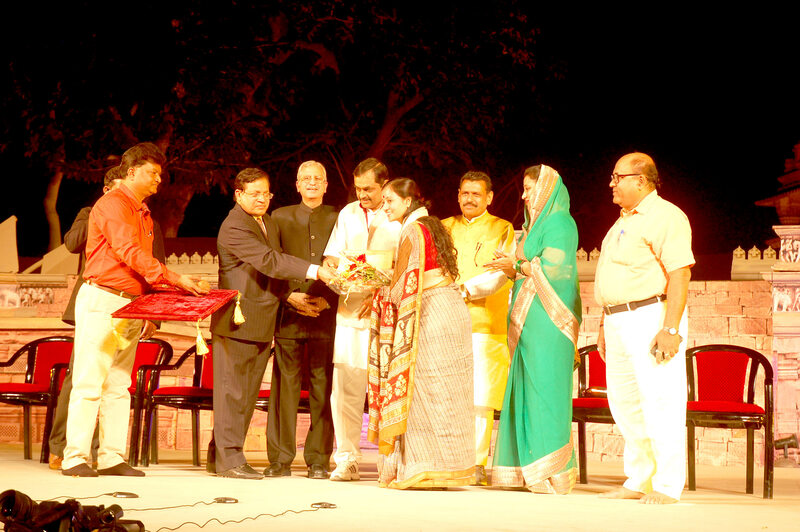 The Governor felicitate Didi Mandakini with shawl and coconut. Didi Mandakini said that despite material happiness and luxuries in the age of science, human being is mentally and physically unhappy. 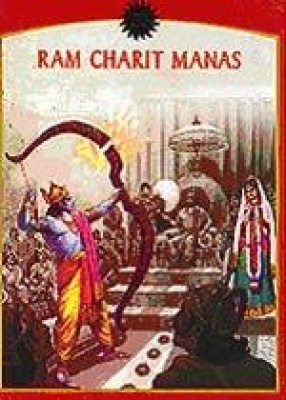 Ram Charit Manas authored by Tulsidas is ever relevant. It encompasses philosophy of entire life. 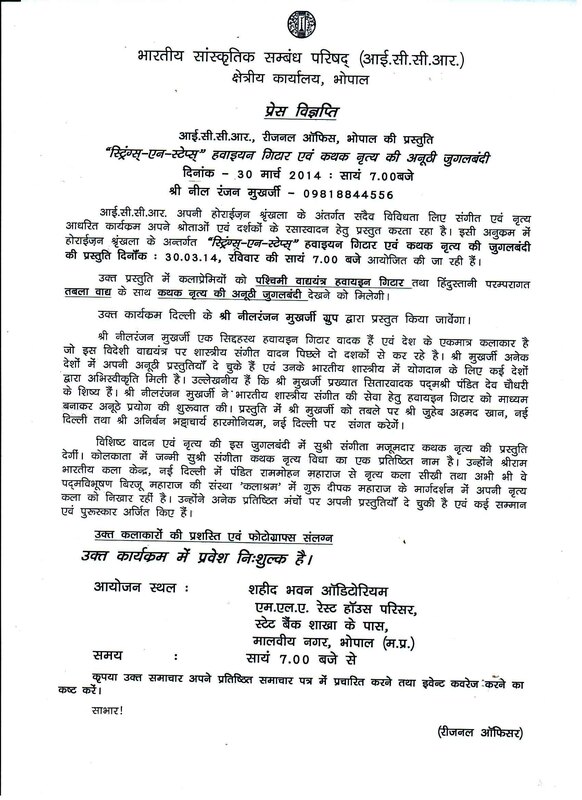 Tulsidas has ensured public welfare by penning Ram Charit Manas. Former MP Shri Raghunandan Sharma said in the welcome address that we are overwhelmed by felicitation of Didi Mandakini at Raj Bhavan. Principal Secretary to Governor Shri Ajay Tirkey, retired Major Shri S.R. Sinho, office-bearers of Manas Bhavan and Tulsi Akademi and Manas lovers were present on the occasion. International Museum Day is celebrated at Regional Science Centre, Bhopal.An unique exhibition was organised titled "My Own Collection' in which around 50participants participated with their own collection of artefacts viz postal stamps, postcards, coins, currencies, wild life photos, match boxes etc. 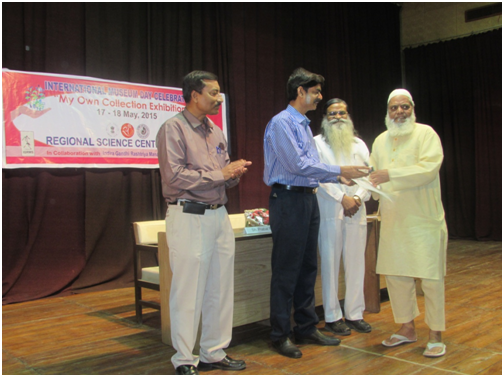 The exhibition wasinaugurated on 17th May 2015 by Dr. S. Das, Director, AMPRI, CSIR, Bhopal. Thevaledictory function was attended by Prof. Sarit Kumar Chaudhuri, Director, IGRMS,Prof. 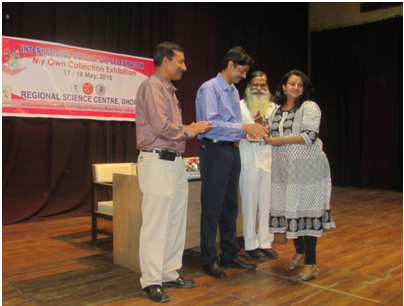 Chaudhuri gave away the prizes and certificates to the participants of theexhibition. Speaking on the occasion, Prof. Chaudhuri said that Museums arenecessary for sustainable society. 35,000 museums across the world are celebratingInternational Museum Day. 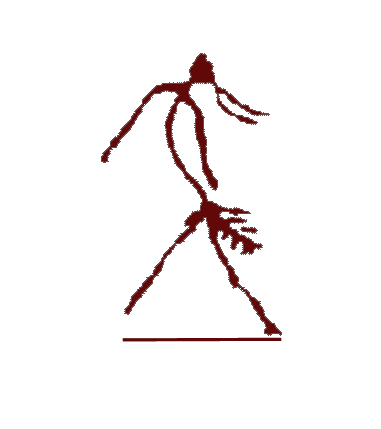 There is a need for building cultural identity of the Indiancivilization. Participating in the function, Mr Prabal Roy, Project Coordinator of RegionalScience Centre, Bhopal said that museums are repositories of educative materials,artefacts of stamps and coins of historical importance. The collectors of artefactsrequires dedication and devotion for long years to puruse this noble hobby. Childrenof different age groups have participated in the Exhibition and the participants aregrowing every year. Dr. P.J. Sudakar, Additional Director General of PressInformation Bureau has also participated in the function. Churches across the city reverberated with prayers and joyous celebrations of the birth of Jesus Christ on Christmas today. Worshippers lined up to participate in the Christmas prayers. Celebrating the birth of Jesus Christ, people gathered at churches and attended midnight mass and offered prayers. Dr Leo Cornelio, Archbishop Bhopal prayed for lasting peace in the country. "On this Christmas day, let us rejoice in the birth of Jesus Christ and how God became man for the upliftment of mankind," he said. The interiors of St Francis Church were decorated with flowers and stars. The exterior of the church was decorated with light that came alive with the sunset. St Francis Church was beautifully decorated with the Nativity scene, where worshippers lit candles and also offered prayers. All churches in the city were lit up with lights. The yuelitide spirit was clearly visible across the city with shops decorated with Christmas trees and stars. Santa Claus was also seen distributing sweets. Traditionally, the Christmas celebrations begin long before the night of 24th December, a date that is observed as Christmas Eve more likely in Western Christianity and the secular world alike. The celebrations begin early as it is a part of the liturgical day that starts at sunset itself and is a very well known practise based on the story of creation, inherited from the Jewish tradition. 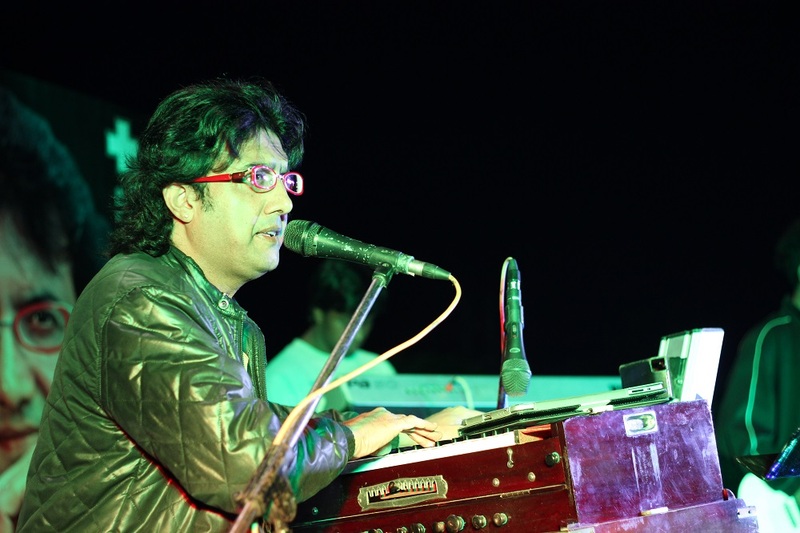 Sadu leaves the audience spellbound with his GhazalRock performance. Sadu was the star performer for the banquet party held on the eve of the first day of the "12 th national conference on cardiology and , diabetology " held on 8th november in Amer Greens in the city . In the lavish party Sadu left the audience craving for more to the GhazalRock performance of the stalwart singers. Jagjit Singh, Ghulam Ali and Mehdi Hassan. Sadu sang chupke chupke raat din, hungama hai kyun barpa, ranjish hi sahi, sarkti jaye hai naqab, baat niklegi to door talak jayegi, hontho se choo lo tum, zindagi mein to sabhi pyar kiya karte hain ... etc in a Rock Style. He also performed his hit GhazalRock number " Mohabbat Mein" which has already received a few lack views on YouTube in a months time. Sadu is the the inventor of this kind of fusion of using guitars, drums, keyboards, bass guitars etc with ghazals which sounds amazing which is called GhazalRock concept..
Live shows are lined up through out the globe in the coming days for the very popular "Aryans Singer"
PHOTOS GRAPHS AND PRESS NOTE ARE ENCLOSED. Ram Navami Festival marks the birthday of Lord Rama, the one who is the protagonist of the famous epic, 'Ramayana'. 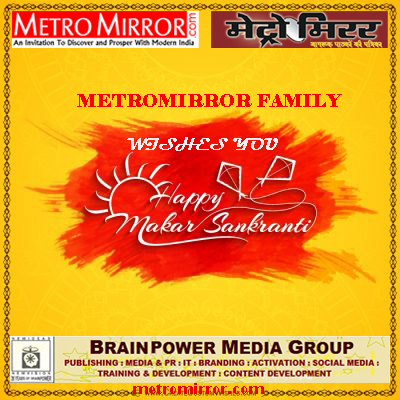 This day falls on the ninth day of the month of Chaitra - similar in all parts of India. The human incarnation of Lord Vishnu is Lord Rama, who was the supreme power in Ayodhya. Celebrations for the festival of Ram Navami commences with a prayer to the Sun right in the morning. During midday, a special prayer is offered. The devotees sing special verses in praise of Lord Rama and get into the festive mood of Ram Navami. Then there are Rathyatras or chariot processions of Ram, his wife Seeta, and brother Lakshman along with the ardent devotee Hanuman that are organized by various temples. Many take a dip in the sacred water and while there are others who observe a fast. The center of celebrations is Ayodhya, where the majority of devotees throng to offer prayers. The Ram Navami festivities are marked with great enthusiasm. The Ram-rajya (during the rule of Rama) concept was synonymous with a prosperous and peaceful period - which people still cite as examples. Several processions come out with people being dressed up in ancient costumes. The procession itself is a blustery affair with the members shouting aloud praises of Lord Rama. As a matter of fact, Sri-Ram Navami festival is an event where the reign of a king is commemorated who was afterward sanctified. The present day traditions of Ram Navami festival does indicate that the ancient times were the most sought after era of peace and prosperity. The festival of Ram Navami happens at the start of summer when the sun has started moving closer to the northern hemisphere. The other indication of the sun was that it was considered to be the progenitor of Rama's dynasty, also known as the Sun dynasty. And the other names by which Rama was also known was Raghunatha, Raghupati, Raghavendra etc. he had been given all these names as somewhere they were related to Sun worship. Appreciably, the prehistoric Egyptians named the sun as Amon Ra or just as �Ra�. In Latin verbatim, the syllable Ra is used to imply light. For instance, the word Radiance means emission of light, or Radium, which denotes any material that emits light or brightness. The occurrence of this �Ra� syllable in majority of the names as used in Rama is highly synonymous with brilliance and brightness. It all must have had its origin much before the Ramayana. Sun has always been of great importance in the higher latitudes from where the Aryans are believed to have traveled into India. There were loads of royal dynasties that represented symbols of virility like the Sun, Eagle, Lion etc. as their progenitor. Rama's dynasty considered them to have its origin from the Sun. This is why linking with this event, Rama's birthday was also said to be a festival devoted entirely to the sun. It is believed that Lord Rama accomplishes the wishes of all those devotees who pray to him on this auspicious day. On this festive day, temples get decorated and Lord Rama idol is richly decked up. There is a practice to read the holy Ramayana in the temples. A big fair is held at Ayodhya, at the birthplace of Sri Rama. It is in South India that the Sri Ramnavami Utsavam (festival) is celebrated for a continuous stretch of nine days. The traditional way of worshipping starts with singing Vedic mantras all dedicated to Vishnu, fruits and flowers are also offered to God. Satsangs and public gatherings are also planned for commemorating the birth of Lord Ram. Praises of Lord Rama are recited and devotees tend to follow all the traditional ways of worship.